Although the GCE A-level results release day is often considered the climax of a Junior College (JC) students’ journey, the path of his/her development begins on the first day of school and continues on into further education and their career pathways thereafter. Coming in as one of the top students in his junior college (JC), Thung You Xuan from Hwa Chong Institution (HCI) shares with BrightSparks how the special programmes at HCI gave him the leap forward and how scholarships would be the launch he needs into a promising career. The various special programmes at HCI offer students a unique opportunity to explore their respective fields to a greater degree. You Xuan, now a fresh alumnus of the school exploring his post JC options, sings the praises of the curriculum and structure of these programmes. “They contribute to your holistic learning. You cannot always be studying; you have to spend time on CCAs. So going at your own pace and studying independently helps you to manage your studies better and increases your confidence level.” he quips. In terms of personal development, students were afforded opportunities for overseas trips at HCI, a practice less common in JCs in Singapore as compared to high schools in the USA. Such trips provide students with an opportunity to broaden their perspectives and consider education overseas as a fruitful and rewarding choice. For You Xuan, the consideration of taking up a scholarship is strongly associated with his interest in public service and the passion to serve and give back to the nation. This interest stems from his schooling days and his knowledge of Singapore’s economic development which he seeks to be a part of. 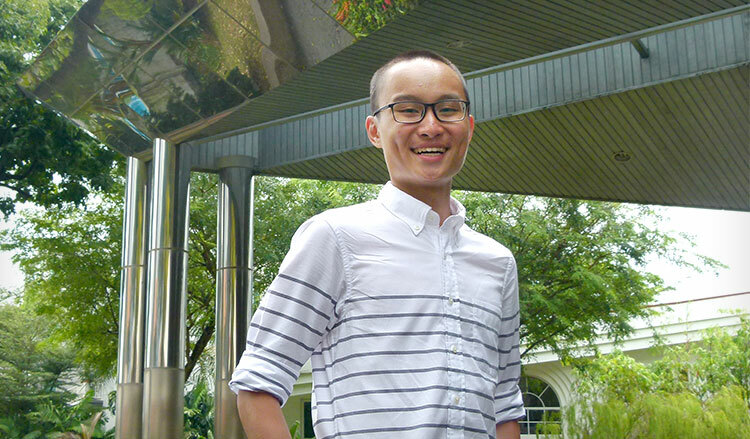 When asked about how a scholarship helps him in his aspirations, You Xuan further recognises a unique attribute of scholarships in keeping a scholar focused during the course of his/her studies. “It will keep you grounded – because you are tied to an organisation. Over the course of your university, you will not drift so much and focus because you have to contribute back to the organisation after graduation. A scholarship also gives you a sense of direction when you study, as you study with an eye on the future on what you want to do. You do not just study for the sake of it. You work hard towards improving yourself to fulfil that career role,” he elaborates.